The A38 Taunton Road / A39 Broadway junction will be closed overnight for five nights from Monday 17 September to Friday 21 September from 7pm until 7am. This is for EDF Energy to carry out remedial works to the junction including kerbing, white lining and resurfacing works. A38/A39 Broadway, Bridgwater Westbound from its junction with Salmon Parade to its Junction with the Superstore Slip Road. A38, Taunton Road, Bridgwater (south) From its junction with A38/39 Broadway for a distance of 65 metres. 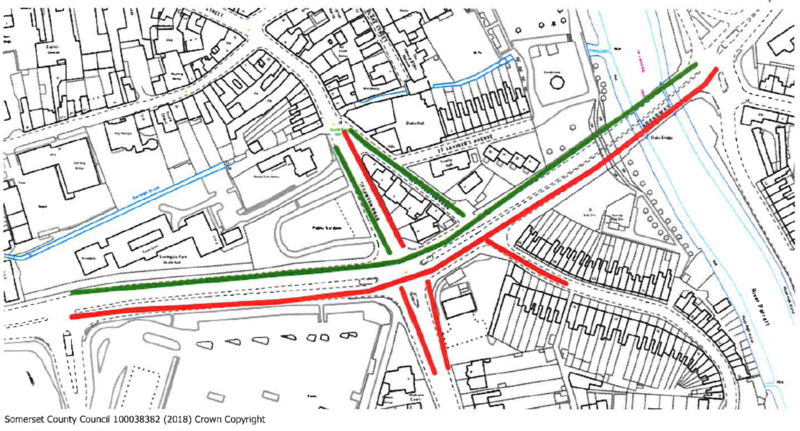 Old Taunton Road, Bridgwater (south) Full closure from its junction with A38/A39 Broadway for a distance of 65 metres. Diversion routes will be in place and signposted.